Round Handle for Finger tips rotational, Fine 45 angled tips with 13mm curved shafts and Iris stop, Utrata style tips can be used to create initial flap in anteror capsule for single instrument capsulorhexis procedure, with guide pin, 105mm long. 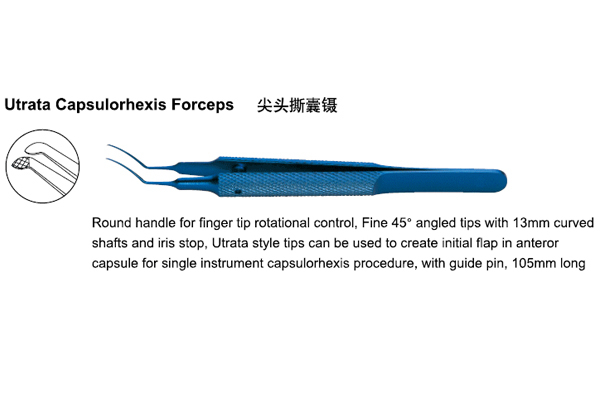 Tell us what you think about Utrata Style Capsulorhexis Forceps 105mm 1401223, share your opinion with other people. 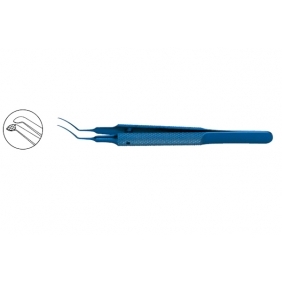 Please make sure that your review focus on Utrata Style Capsulorhexis Forceps 105mm 1401223. All the reviews are moderated and will be reviewed within two business days. Inappropriate reviews will not be posted.